The Conservatives won the most seats in the UK general election of May 2010, but not enough to secure an overall Commons majority, resulting in a hung Parliament. After days of talks with the Liberal Democrats, the UK's third biggest party, a deal was reached that resulted in Labour Prime Minister Gordon Brown resigning and the formation of a coalition government between the Conservative Party and the Lib Dem Party. A coalition government between these two parties is laughable to anyone who watched the live debates running up to the election in which these two squabbled on their differences. One thing that immediately was pointed out by the press, David Cameron, our new PM, as of yesterday evening, was educated at Eton and subsequently at Oxford. He is the 19th British Prime Minister to have been educated at Eton, a well known illuminati education centre where PMs and important figures are chosen. As too of course is Oxford, the home of the Rhodes Scholarships which leads us back to Cecil Rhodes and The Round Table Network of secret societies. The Round Table network, and in particular the Rhodes Scholarships shows us how Presidents, Prime ministers, political backbenchers and a whole host of leading figures in health, education, military and media etc are picked young, often by bloodline, educated through the illuminati system and put in the place they have been chosen to fill. The most famous Rhodes Scholar today is one Bill Clinton, former US President. I will go into the Rhodes Scholarships and The Round Table Network in much more detail in another section coming very soon. Cameron's elevation was actually to Shadow Deputy Leader of the House, but that mistake somehow made the message more credible. But a spokesperson from his office denied that Cameron was a Mason, so the veracity of that Usenet posting remains in question. But Cameron has also linked himself with the 'First Freemason of Italy', Giuseppe Garibaldi stating he was his 'political hero'. Garibaldi described himself as a pacifist and a socialist, before then he and his men had killed countless thousands of people, all in the cause of a worldwide Freemasonic brotherhood. 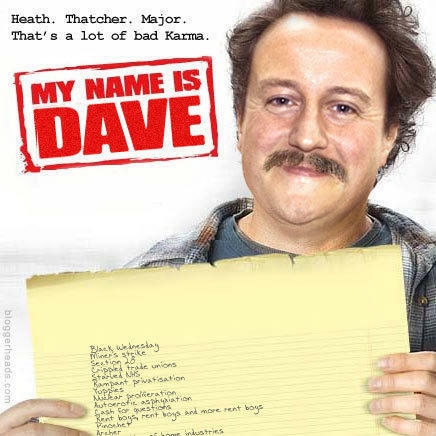 Crikey Dave! He's also almost certainly attended meetings with the Bilderberg Group, in 2008 he was quoted as saying at the Haltemprice and Howden by-election that the secretive Bilderberg Group has no sinister agenda and 'if it was that important I would want to be there'. Well Dave, Alec Douglas-Home, Edward Heath, Harold Wilson, James Callaghan, Margaret Thatcher, John Major, Tony Blair and Gordon Brown have all attended Bilderberg meetings, so if you haven't your the only British Prime Minister since at least 1964 who hasn't been, or, of course you could be lying. We'll give it some time until some firm evidence comes up but many reports suggest he was an attendee at the 2006 Bilderberg meeting. I have no doubt he was. Certainly conservative MP William Hauge attended the 1998 Bilderberg meeting The Bilderberg group is the secret government if you like. It is at these meetings where global politics are manipulated. The Bilderberg group in particular is something I will be coming back to in one of my next articles as it fits right into the Round Table Network. So, welcome Mr Cameron our new Prime Minister, don't get your hope's up, he's just a puppet and the same people controlling him control Obama and they controlled Brown, Blair, Major, Thatcher etc etc. It's a one party state folks, there's no doubt about it. The following Video is brilliant, very well edited and the ending will make you laugh out loud or lol as some of you call it. Well worth 3 minutes and 15 seconds of your time, it is both true and funny, and we need something to lighten the mood now and again so hats off to the makers of this, good job!